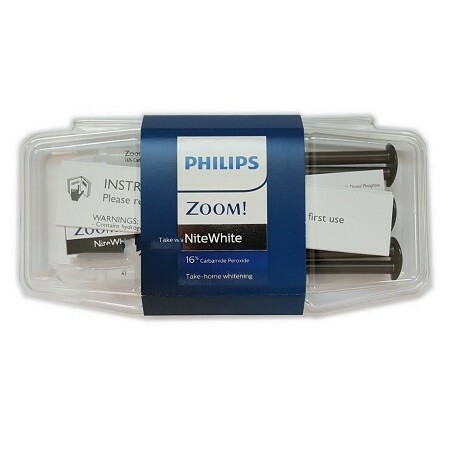 Philips Zoom Nite White 16% uses Carbamide Peroxide which gives fast whitening results without causing as much sensitivity as hydrogen peroxide. As a comparison 7% Day White is around 22% Nite White in strength. Philips Zoom Day White is designed to be used for short periods of time during the day. 3 x 2.4ml Syringes or 1 x 2.4ml Syringe based on what you order.